Today is National S'mores Day, and Kristyn is celebrating with these cute and delicious s'mores pies. They are easy to whip up, which makes them the perfect last minute treat to celebrate National S'mores Day, in case you weren't already prepared. 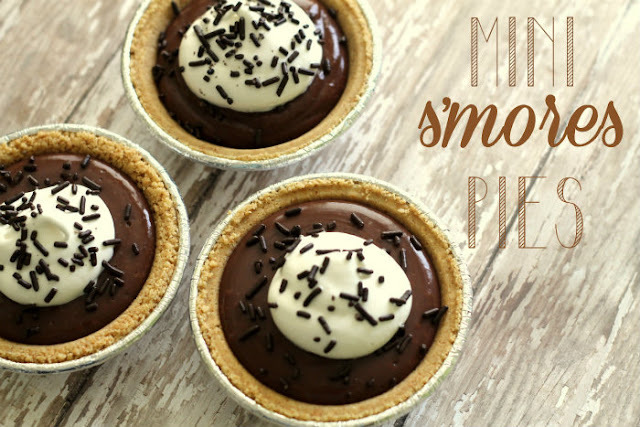 You can get the recipe for Mini S'mores Pies over at Lil' Luna and you can check out the rest of the fun s'mores recipes I have featured HERE.